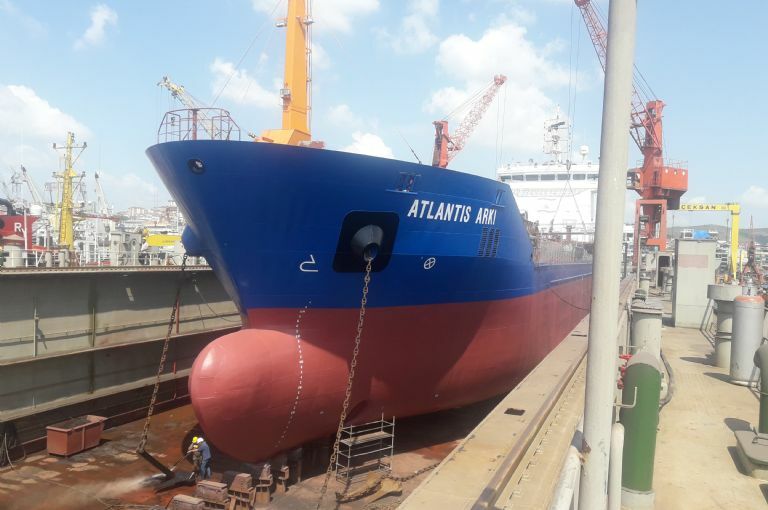 We are coming to an end in our work for Inventory of Hazardous Material on our vessel Atlantis Armona in the shipyard. 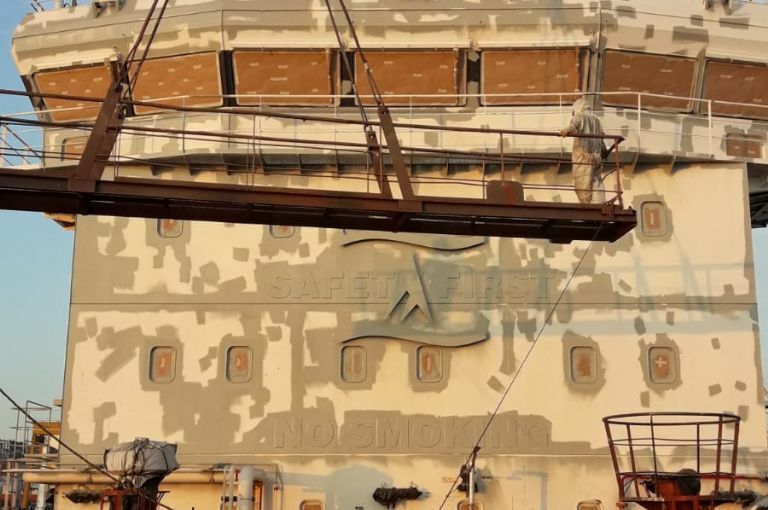 The removal of asbestos from the vessel is now completed. Now Atlantis Antalya is next. 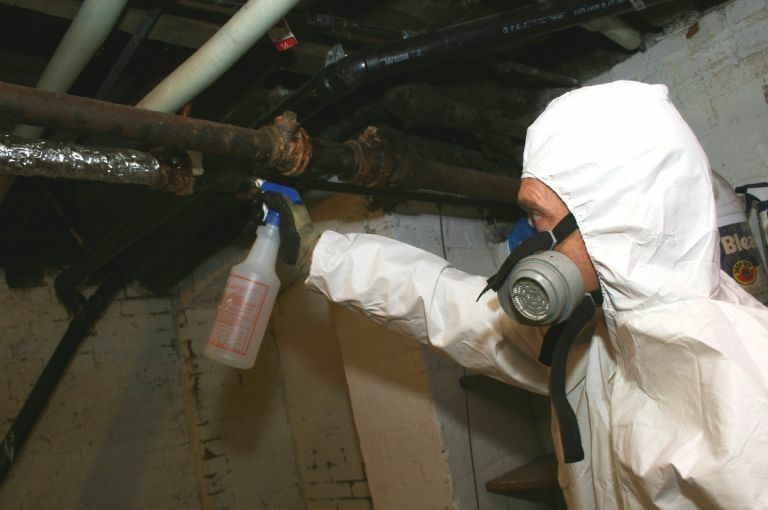 The asbestos removal process for the subject vessel will be completed next week. We chose Tekhne Marine for the preparation of this inventory on fleet vessels. The after-workshop cocktails hosted by Kaman allowed for the bosses of Armona, Güngen and Genel to exchange thoughts on the workshop and discuss various topics. 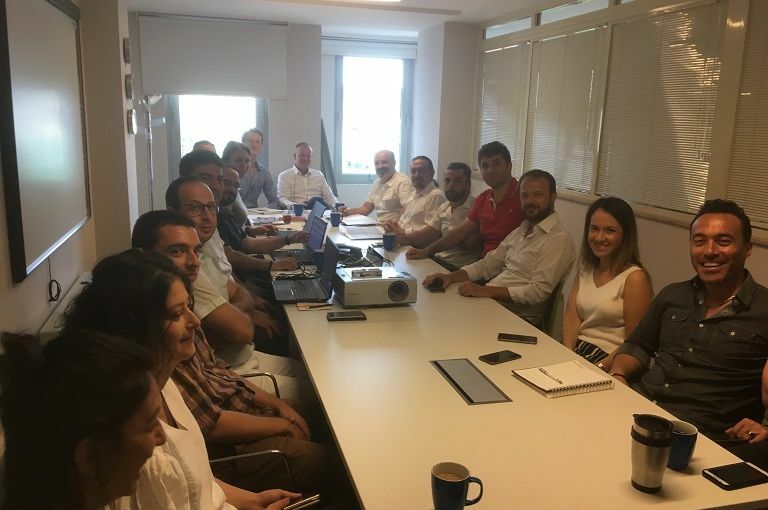 Shell’s Turkish Maritime Partners in Safety gathered on the 26th of September to collectively share and work on solutions for a safer industry. We would like to extend our thanks to Kaman Gemi İşletmeciliği A.�?. for organizing the workshop. This was another small step in a long journey to Zero-Incidence. Atlantis Augusta passing through the Bosphorus. Arki's special survey has ended. In her new dress she left for Greece to pick up her cargo and will proceed towards Western Europe. The ex-Restis owned Ionian Trader (now Atlantis Arki) undergoes its special survey. The vessel is being Atlantis'ized' in the process. The vessel was bought by Atlantis Tankers Group in Q1 of 2017 from Enterprise Shipping & Trading (a Victor Restis owned company). It has since been part of the fleet. Now Atlantis Arki is fully integrated, boasting the trademark colors of Atlantis. We would like to thank our teams and Gisan Shipyard for working hard and determined in bringing Arki on par with Atlantis standards. Armona's second quarter (Q2) Management Review meeting was held. The Review was fruitful in terms of brainstorming, seeking improvements in procedures, systems and measurements forms of KPI and brought the team closer to working towards exceeding their previous targets.